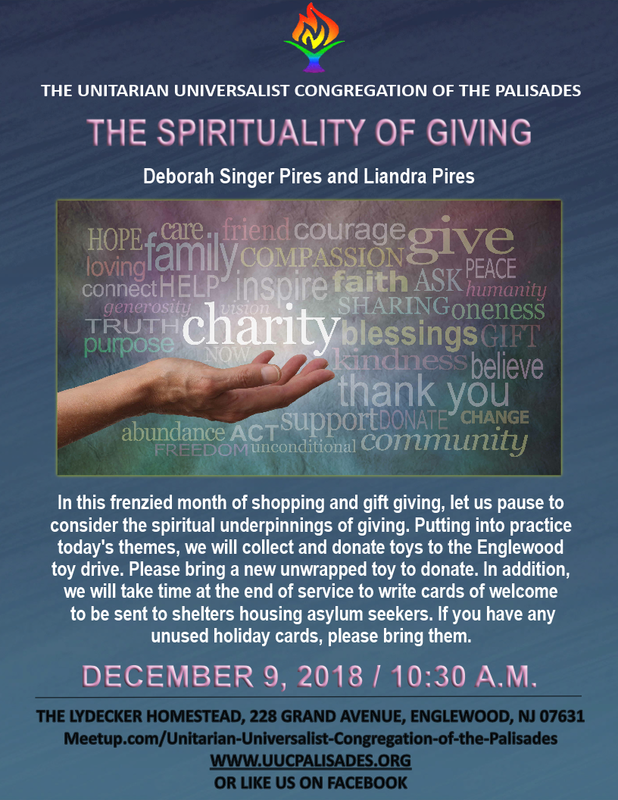 Please join UUCP for our service today at 10:30 a.m. led by UUCP Co-President, Deborah Singer Pires and Liandra Pires. 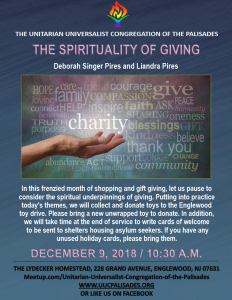 In this frenzied month of shopping and gift giving, let us pause to consider the spiritual underpinnings of giving and the benefits to the giver. Putting into practice today’s themes, we will collect and donate toys to the Englewood toy drive. Please bring a new unwrapped toy to donate. In addition, we will take time at the end of service to write cards of welcome to be sent to shelters housing asylum seekers. If you have any unused holiday cards, please bring them.